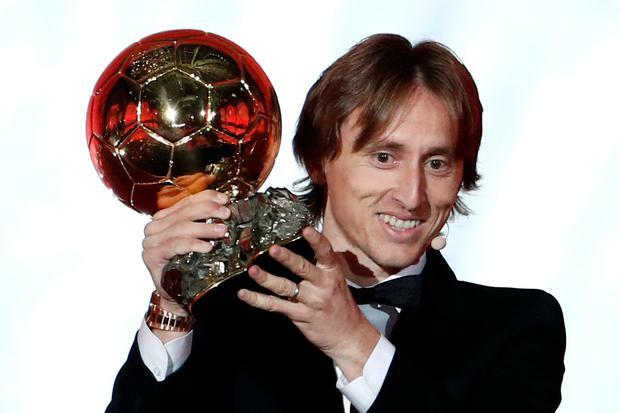 Luka Modric has won the men's Ballon d'Or award, the prestigious prize given to the best footballer in the world, beating five-time winner Cristiano Ronaldo and World Cup winner Antoine Griezmann to the honour at a ceremony in Paris. Kylian Mbappe won the inaugural Kopa Trophy for the best young player, while Lyon and Norway forward Ada Hegerberg won the first women's Ballon d'Or. Hegerberg scored 42 goals in only 25 club games as she led Lyon to the Champions League. Modric has proved a crucial part of both Real Madrid's third successive Champions League triumph, beating Liverpool in the final 3-1, and as captain in Croatia's impressive run to the World Cup final which earned him the tournament's Golden Ball. The 33-year-old's prize sees an end to the 10-year duopoly of Messi, who finished fifth overall in his lowest ranking since 2006, and Ronaldo, who came second. France and Atletico Madrid forward Griezmann placed third, with his France team-mate Mbappe fourth. Mbappe has enjoyed another sensational year, with the 19-year-old integral to PSG's title triumph before scoring in the World Cup final as he earned the tournament's best young player prize.